ADELAIDE, Australia — This year’s Contested Urban Environment field exercise is due to conclude Dec. 1 after more than a week of activities designed to test new and emerging technologies to protect both war fighters and the civilian population in a complex urban warfare environment. Approximately 100 Australian Defence Force personnel and more than 80 scientists and researchers from Australia, the U.S., Canada, New Zealand and the United Kingdom took part in CUE17, which began Nov. 20, in the South Australian city of Adelaide. CUE17 is part of the Contested Urban Environment Strategic Challenge, run under the Five Eyes’ Technical Cooperation Program, and it is the first field exercise run under the program, which has previously been conducted as a desktop simulation exercise. Five Eyes is an intelligence alliance between all five of the countries participating in CUE17. 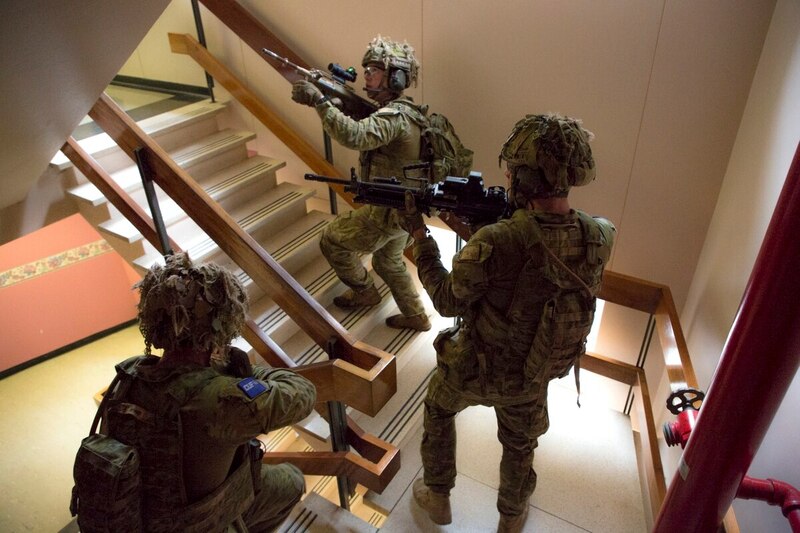 The exercise was held with the full support of the South Australian state government and utilized the recently vacated Adelaide Dental Hospital and Royal Adelaide Hospital buildings, creating a realistic challenge during several different scenarios. Australian lead for the event, Justin Fidock from the Defence Science and Technology Group, or DST Group, said the aim was to determine benefits that can be derived from the integration of wide-area aerial intelligence, surveillance and reconnaissance, ground-based sensors, and target sharing for war fighters operating in difficult and complex urban environment. “Basically we are integrating ground- and air-based sensors and using multiple methods to draw insights into technology, with a strong emphasis on qualitative data,” he said. Various new and emerging technologies from Australia, the U.S. and Canada were selected for CUE17, including DST Group’s Defence Experimentation Airborne Platform; a Beechcraft 1900 aircraft configured for Wide Area Surveillance Activity Based Intelligence, or WASABI, with an Angel Fire 2 96-megapixel camera; a Selex Galileo PicoSAR synthetic aperture radar; and a Wescam MX-20HD full-motion, high-definition video sensor. 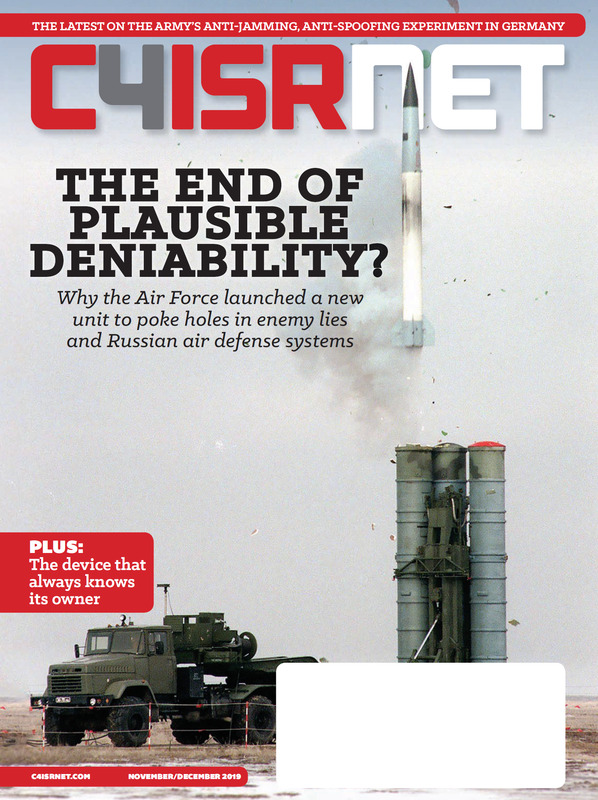 Other DST technologies included Evolutionary Layered ISR Integration EXemplar Architecture ISR enterprise software; social media analysis systems; and the ability to track targets using existing public infrastructure, such as CCTV cameras. “The challenge is to understand which sensors from which nation fit into the ISR ‘picture’ and how we push that down to the user,” Fidock said. U.S. technologies fielded for the event included the DragonFly 360-degree, full-motion video camera system mounted on the corner of one of the high-rise buildings to simulate a tethered UAV, which would typically be used in a real scenario. Also being trialed was a 3-D common operating picture sensor. “That allows us to do mission planning in a 3-D environment, so you know where to put the sensors to identify where dead spots are,” explained U.S. lead Susan Toth, from the U.S. Army Research Laboratory. The next field activity under the Technical Cooperation Program, CUE18, will be hosted in Canada, and the 2019 event will take place in the United States.